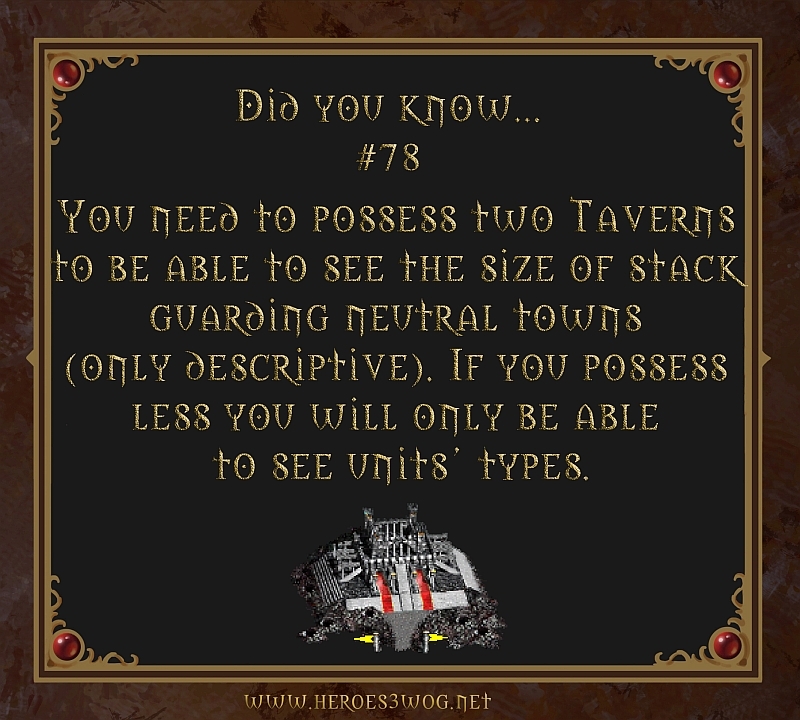 #78 You need to possess two Taverns to be able to see the size of stack guarding neutral towns (only descriptive). 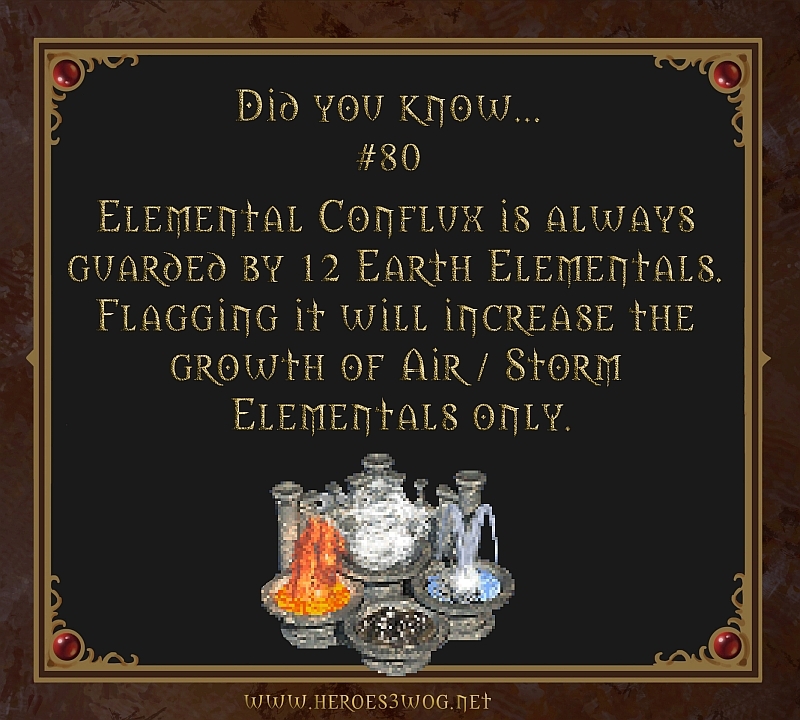 If you possess les you will only be able to see units types. 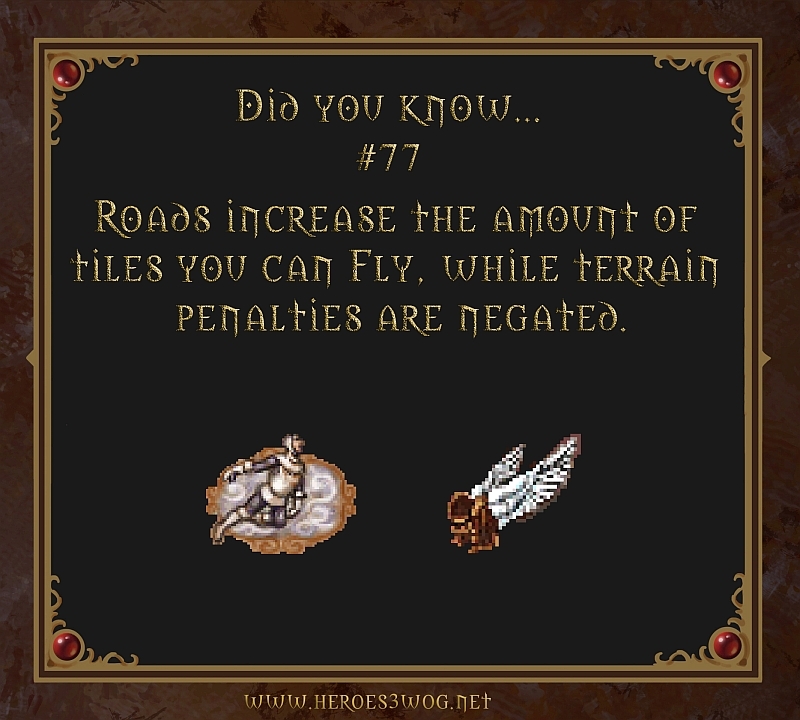 #77 Roads incrase the amount of titles you can fly, while terrain penalities are negated. 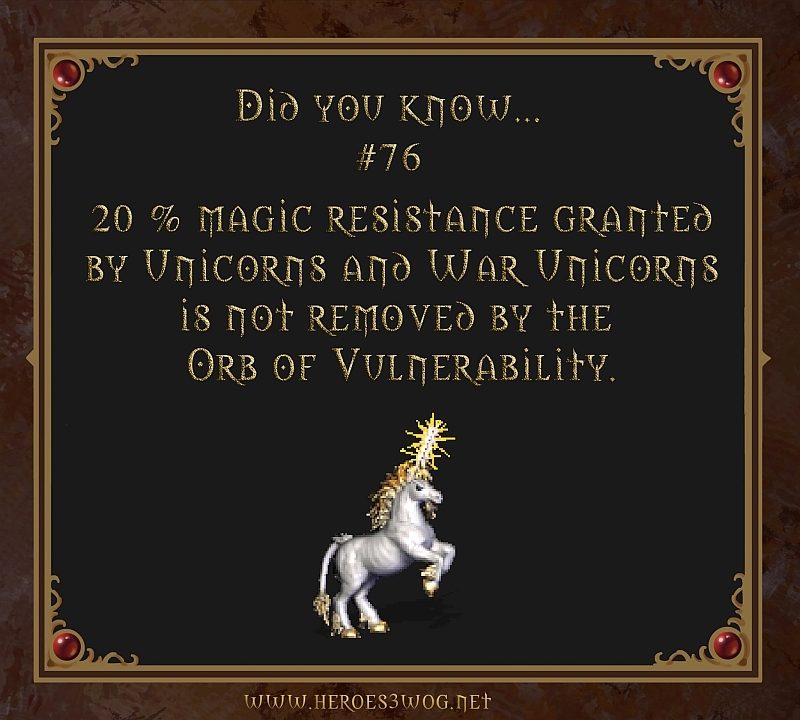 #76 20% magic resistance granted by Unicorns and War Unicorns is not removed by the Orb of Vulnerability. 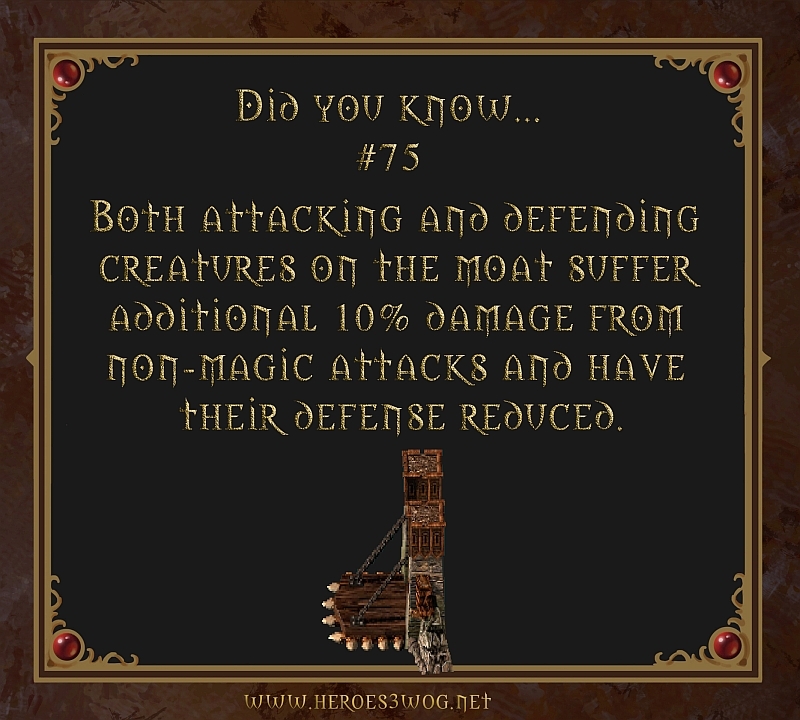 #75 Both attacking and defending creatures on the moat suffer additional 10% damage from non-magical attacks and have thei damage reduced. 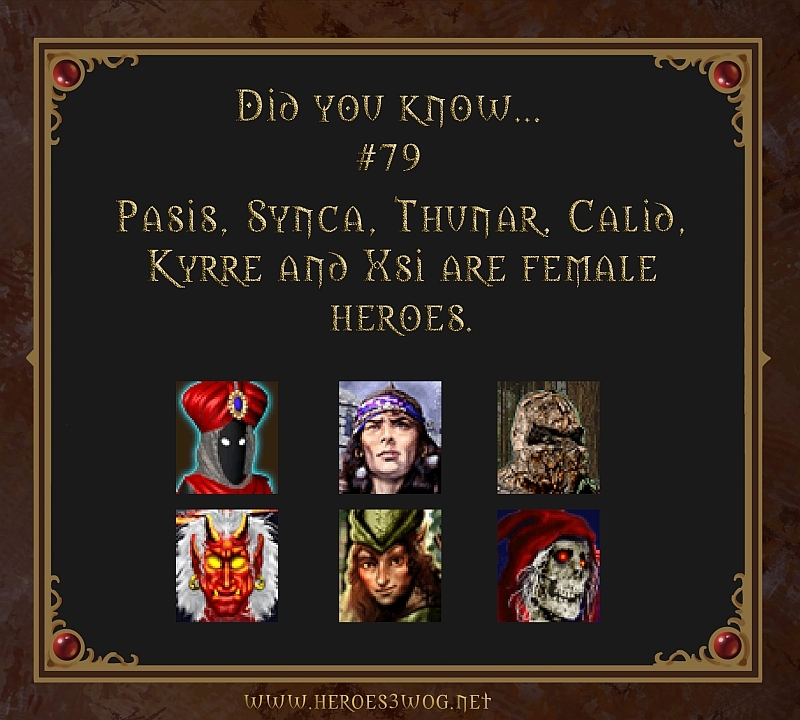 #74 The first hero to rescue the survivor recives an artifact from the survivor. 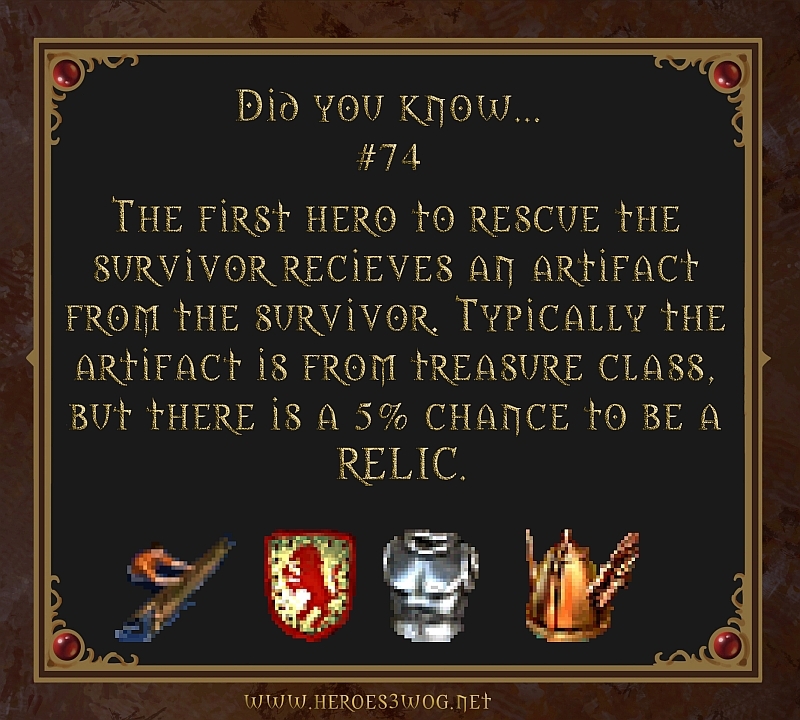 Typically the artifact is from treasure class, bu there is a 5% chance to be a RELIC. 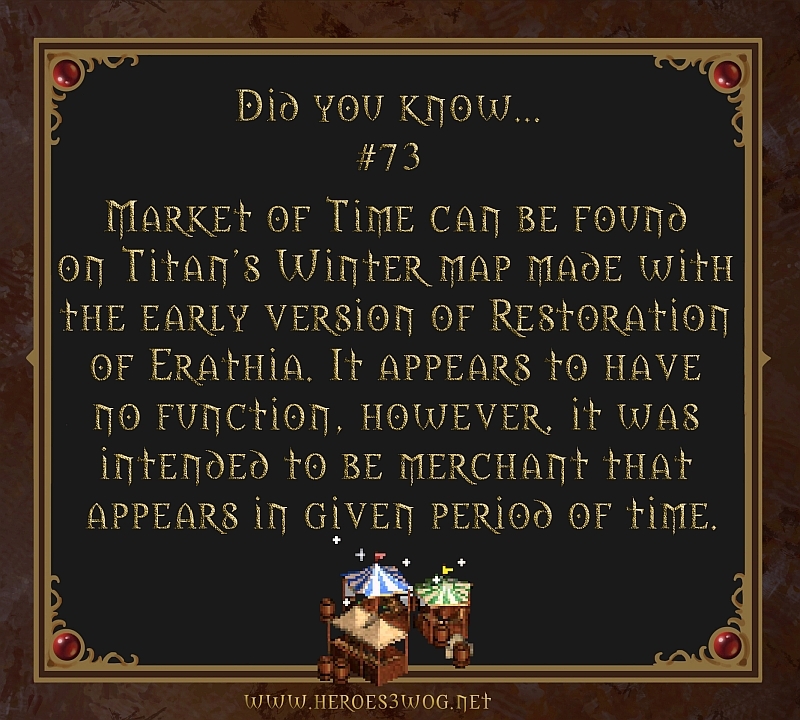 #73 Market of Time can be found on Titans Winter map made with the early version of Restoration of Erathia. It appears to have no function, however, it was intend to be merchant that appears in given period of time. 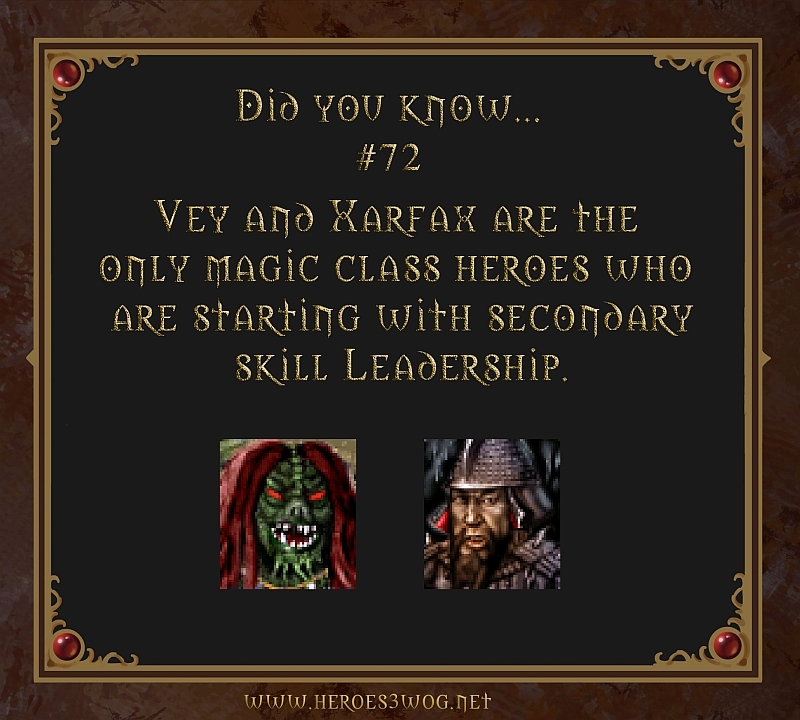 #72 Vey and Xarfax are the only magic class heroes who are starting with secondary skill leadership. 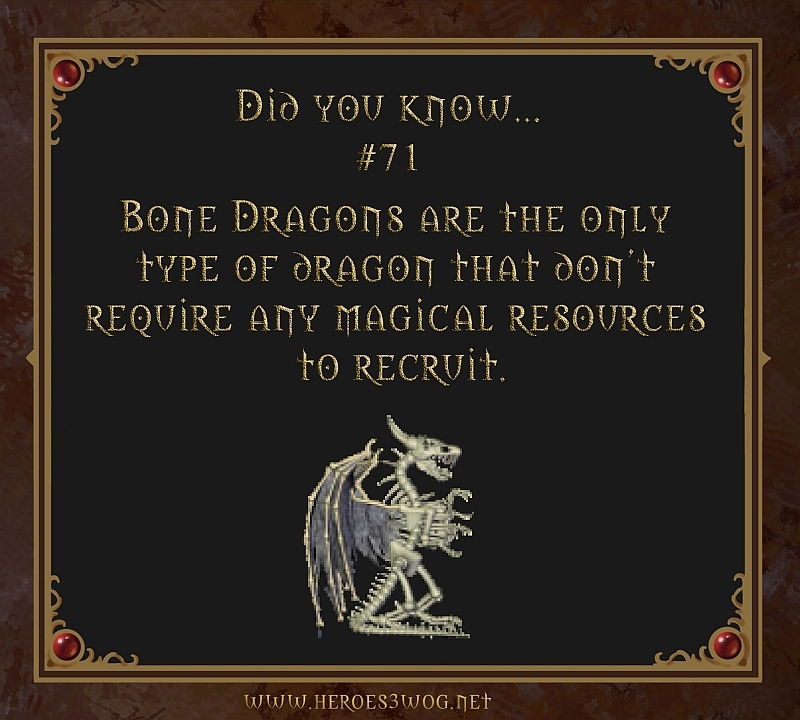 #71 Bone Dragons are the only type of dragon that dont require any magical resources to recruit.